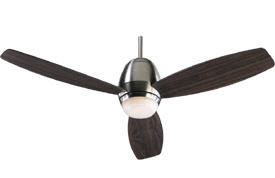 Condo Blues: Ceiling Fans with Lights, Energy Efficient Yes. Stylish? Yeah or Nay? My husband and I built a new house two years ago -- a sleek modern house, which is quite the contrast to all the traditional architecture in our town. We all (us + our children) like to sleep with ceiling fans on, so finding some that looked good with the house's style was important. 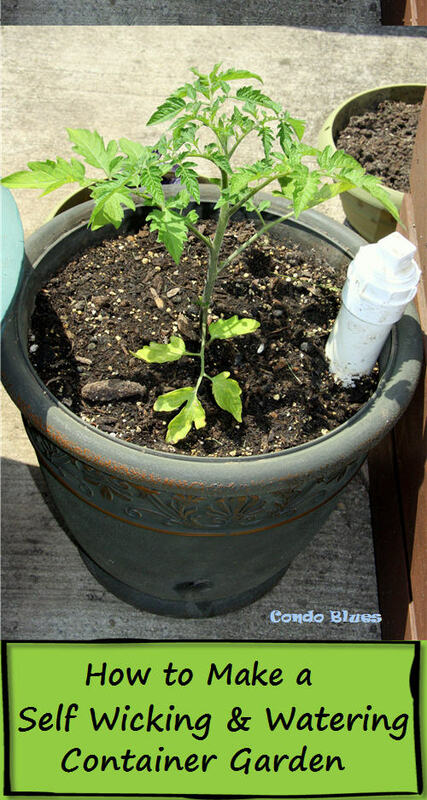 Plus, our previous two houses did not have overhead lighting, so having built-in lighting in rooms was important to us too. 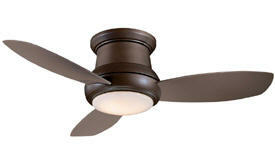 I spent months looking for the right ceiling fans with lights and it was a challenge, no question about it. I eventually found two styles that I like -- one for the kids' rooms and one for our room -- and have been pleased with how they look and function. 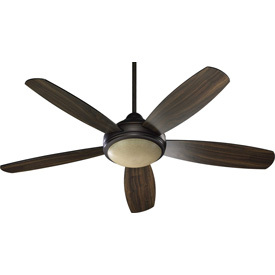 We did not put ceiling fans in other rooms, however, because I had already chosen great mod lighting for those rooms and didn't want to give them up in favor of ceiling fans. Three out of four in our household must have ambient noise (and a bit of a breeze) in order to sleep, so we have ceiling fans in all the bedrooms (even the guest room) and they all have lights. 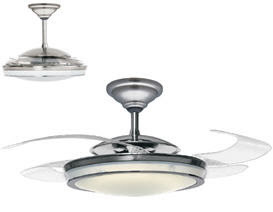 I especially like the light/fan in our Master Bedroom, but I spent a good amount of money on it. 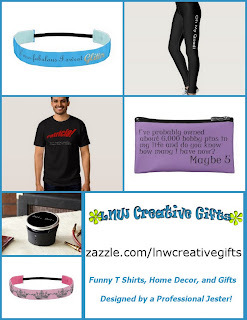 However I do believe our Family Room Ceiling Fan needs updating (I lazily added a light kit and it's less than optimal in style) so it's good to see some new ideas out there in ceiling fan land. I love the one where the blades don't show when it's off. I wish I had $300 laying around! Thanks Lisa, I really enjoyed the article. 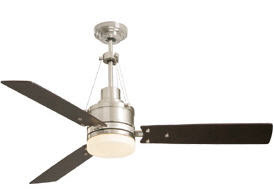 I would of course vote Yeah on ceiling fans with lights. 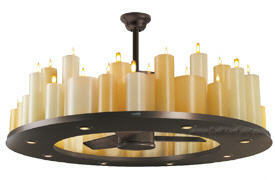 Ceiling fans with lights have come a long way in recent years. 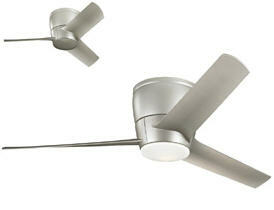 The Fanaway ceiling fan, the one with retractable blades, looks really neat in motion. Pop and Ice - We use Blitzkrieg's snoring for ambient noise :) Seriously. When I was at BlogHer last summer I didn't sleep the first night because he wasn't snoring under the bed. Yeah I know I'm pathetic. 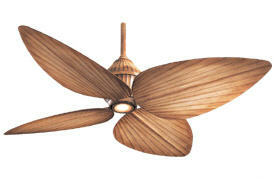 I'm not really a fan of ceiling fan but now I must say they are really so cooool...I love the design. 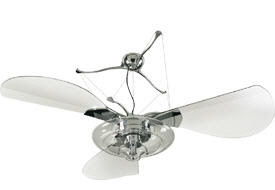 I guess I never saw one like this that I don't really love the idea of having a ceiling fan installed. This is great. 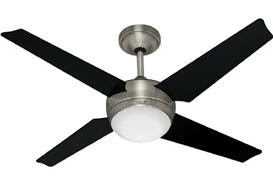 The apartment I am in has a plethora of ceiling fan/light combos and they are rather innocuous, they blend in and aren't too offensive although I'm partial to the one at the top of the stairs. Brushed silver with bordering on (scandalous!) artsy light fixtures. Oh, and I went to visit my mom this summer and stayed in my old bedroom where they have taken the blades off of the ceiling fan, but since that always looks deranged they had to replace it. With a macramé toque thing. I sh*t you not. I love the casablanca Chandelier. For me it's romantic. Fit on our place. In the Southwest were I am, ceiling fans are an essential. I cannot sleep without moving air. It's nice that there are more decorative options available that will match any room's decor. That's a million miles away from the standard white fan!